There are some things that I just don’t get other parents doing. Am I being a snob to disagree? But there are just some things that some parents do that are just not ok. I have to get it off my chest after seeing it happen for the third time in less than a week. Here’s my rant about every dumb stupid decision that some parents make. 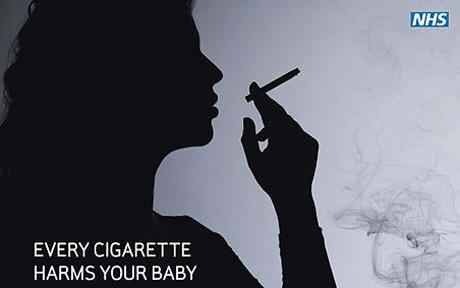 Smoking when you are pregnant or have children, I mean seriously how selfish is it to restrict their breathing for your fix? And don’t kid yourself that if you’re not smoking in your house it doesn’t affect them. It does. Every time you touch them, it lingers for ages. Smokers children smell like little ashtrays. It’s in their clothes, hair, skin, toys. It’s really sad. Stop pricing your babies ears!! I wasn’t allowed to have my ears pierced until I was a teenager and I thank my mum for that. Babies with piercings is just cruel but why do you think it’s ok to do it to your kids. It hurts them and it scars. Why do some parents give zero shits about their kid’s skin? I don’t get it? Just because you might want to risk it, why should you risk your child’s health in the sun? During the summer we were at the park and I saw kids running around, some as young as two, with no protective skincare or clothing to protect them from the stinging rays of the sun. For me as a parent, as an adult seems like madness to me. What’s a few minutes of your time to add some suncream to your children’s skin to protect them from harmful rays? Just because we’re not in Spain, Dubai or Miami doesn’t mean the weather in England can’t harm us. Many people think they don’t need sunscreen on overcast days or for brief stints in the sun, but for the ultraviolet rays that damage your skin, a little cloud cover means nothing. UV light penetrates clouds with ease, so you need protection even on cloudy days. You’re really asking for it if you let your child run free near the main road and you don’t supervise your children. Someone I know lets their kids run outside whilst washing the car. They weren’t paying attention. Our road isn’t a very busy one but that doesn’t stop most drivers driving like lunatics speeding down the road. Naturally, her 3-year-old ran in front of a car and all you could hear was the mother screaming blue murder for their child’s stupidity. Hang on a second, where were you? They shouldn’t be playing outside, you have a garden, use it!